XS LATIN B WINS WDC EUROPEAN CHAMPIONSHIP! 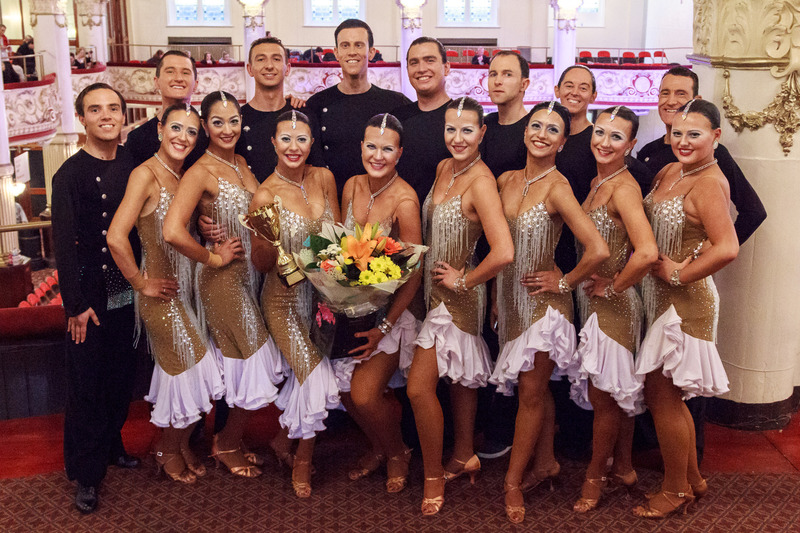 The WDC European Championship, held in Blackpool on 16th April 2017, offered a number of firsts for XS Latin. It was the first time XS had competed at the WDC Championship, it was the first time XS Latin B had performed their new Planets routine at a British competition and, significantly, it was the first competition that XS Latin B had attended without the A team. After a solid debut of The Planets at the ThyGer Dance Gala in Emsdetten, and a very good training just before the competition, the team travelled to Blackpool filled with optimism. However, just before their rehearsal in the Empress Ballroom, optimism turned to disappointment as B team stalwart, Michael Brown, seriously sprained his ankle. Rachel Hardisty, A team captain, had gone along to support the team and so danced the rehearsal in Michael’s stead. Having never danced the routine in position before, Rachel was challenged at the rehearsal. A medical examination of the ankle revealed that there was no chance of Michael dancing in the competition so the afternoon was spent with the B team leaders helping Rachel learn the detail of the routine and the patterns. It was far from the most restful preparation for a championship! Several hours and a great deal of hard work and sweat later and the team, with Rachel dancing her debut competition with the B team, walked onto the floor. In the circumstances the performance was excellent. The team were calm and performed with confidence, dancing a cleaner and more attacking competition and with better patterns and tricks than they had done eight days before in Germany. After a nervous wait, the team were utterly delighted to be announced as WDC European Champions 2017, with seven of the eleven judges marking them into first place. The team are now in preparation for the remaining competitions of the Spring season and are looking forward to making more progress with their exciting new routine. Written by David MallabonePosted in B Team,Competitions,XS Latin Dancing News20 April 2017Comments Off on XS LATIN B WINS WDC EUROPEAN CHAMPIONSHIP!